A resolution adopted by the United Nations in New York this week has emphasised the “need to strengthen and further co-ordinate efforts” around the role that sport and physical activity can play in supporting sustainable development objectives. The resolution called upon UN Member States to further work on sport for development and peace at all levels “including multi-stakeholder partnerships”, to promote policy coherence, and foster existing national policies and government-supported programmes which leverage sport as a tool for social or economic development. It affirmed the contribution of sport in promoting tolerance and respect and empowering women and young people, individuals and communities. The document also places a spotlight on the impact sport has on health, education, social inclusion and the fight against corruption, encouraging governments’ efforts to focus on these topics. Platforms such as connectsport.co.uk in the UK and Ireland, and sportanddev.org and Beyond Sport globally, have long championed the role that sport and physical activity can play in generating positive social outcomes, and sought to provide a focus or hub for the thousands of organisations using sport for development and peace across the world. ConnectSport is a not-for-profit directory of organisations which range from charities and community-based organisations, to national governing bodies and professional club foundations, local authority and public health initiatives, private sector and CSR campaigns – all using sport or physical activity, for example, as a tool for intervention. It is also the official media partner of the UK’s Sport for Development Coalition. The resolution welcomed the “growing attention” being given to sport’s role in achieving development objectives. 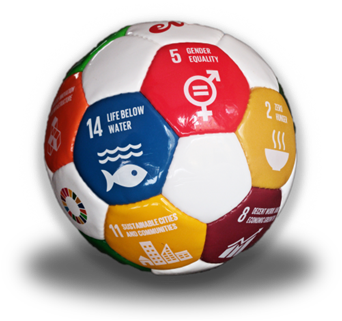 This includes the 2030 Agenda for Sustainable Development, adopted in 2015, which underlined the role of sport in achieving the Sustainable Development Goals (SDGs). It also pointed out the “invaluable contribution of the Olympic and Paralympic movements in establishing sport as a unique means for the promotion of peace and development, in particular through the ideal of the Olympic Truce, acknowledging the opportunities provided by past Olympic and Paralympic Games”. The resolution called on organisers of sporting events, such as the International Olympic Committee (IOC), to “use and leverage such events to promote and support sport for development and peace initiatives and to strengthen existing and build new partnerships, co-ordinate common strategies, policies and programmes and increase coherence and synergies, while raising awareness at the local, national, regional and global levels”. IOC president Thomas Bach welcomed the resolution, telling olympic.org that “it reaffirms the universality of sport and its unifying power to foster peace, education, gender equality and sustainable development at large”. Read the resolution ‘Sport as an enabler of sustainable development’.